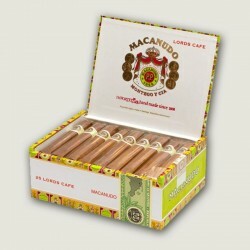 The Master Blenders and Craftsmen of Macanudo have proven their skills again with this magnificent Macanudo Inspirado. 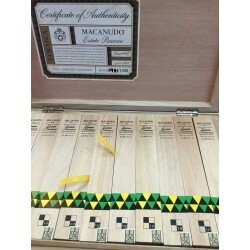 Macanudo Inspirado is handmade from Honduran, Nicaraguan and Dominican tobaccos and is held together by a binder from the Jamastran Valley in Honduras. All this pride is wrapped in an oily and rich Rosada leaf from San Agustin, Honduras. 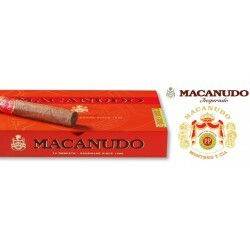 You sure will get inspired with great ideas while enjoying Macanudo Inspirado. 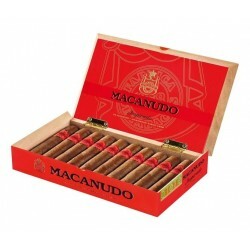 Macanudo Il y a 15 produits. 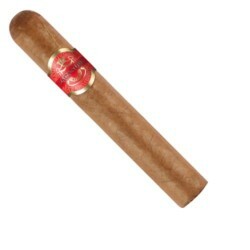 9,40 € Produit de tabac, Pas de vente à distance seulement commande pour enlèvement dans nos locaux. 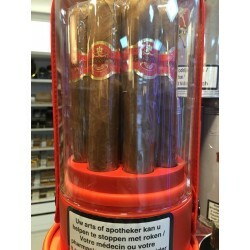 9,00 € Produit de tabac, seulement commande pour enlêvement dans nos locaux.